Wormhole space is in very bad shape. 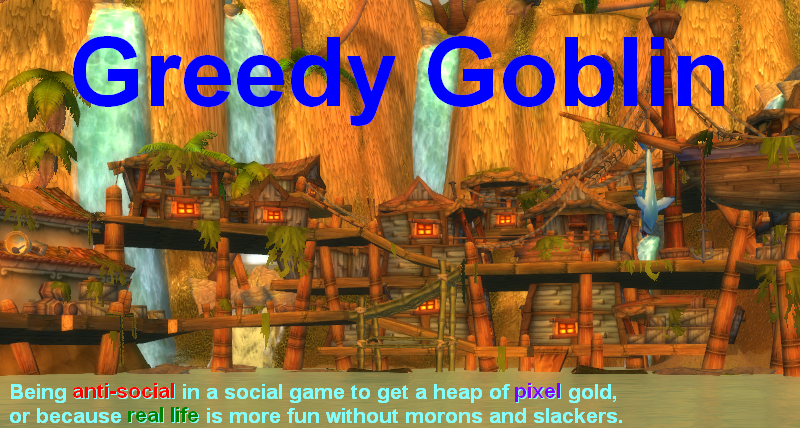 It has very low PvP activity and very small population compared to its vast size. Many former wormhole people are leaving it, Seriously You Are Joking being the most prominent. Why? A new player is starting up in highsec, learning the mechanics, earning some ISK. Then one day he tries out other zones. CCP promises "the higher the risk, the higher the reward". Players say "just fit frigs and go blow up"! Can he go sov-null? Without real life connections or community membership, not. But he can go "nullsec light": NPC null and FW-lowsec. The stations are in NPC hands, Black Frog moves your stuff, you just place your clone there and off you go! While at first he often visits his clone station, but he learns while risking only what he chooses to risk. In the meantime FW and NPC null agents are giving him means to earn ISK. So, slowly he learns the tricks, gets to know people and builds a killboard that makes him acceptable to a corp. Not to a big brand, but to a place where he can continue learning and earning. Then, with or without his corp, he can move to the big players, having the necessary knowledge and funds. Did CCP forgot to add such learning fields to WH space? No they didn't. There are low level wormholes, class 1, 2 and 3. Their sites are far from being great, so serious corps don't live there. These were meant for new players and small corps to learn the ropes and earn a little ISK. So the planned progress path is the same: the (relatively) new player moves to a lowbie wormhole, builds his POS, can haul himself due to the easy highsec connections, earn a little ISK by doing the sites, loses some ships in the local-less space, wakes up now and then in highsec, but he can keep doing it until he learns the tricks and builds the killboard to apply to a C4-5 corp. He continues his journey there, opening up the lowbie hole for the next guy. These intermediate players continue to learn and in the meantime "teach" the newcomers by visiting the lowbie holes now and then. This vivid intermediate range acts as a hatchery for those who earn their way to C6. The wormhole I entered was empty. Dotlan shown minimal PvE. The planets had just a handful of colonies (you can see it in planet mode, right-click, "show other characters colonies"). The sites and signatures lingered for days. But - like in every system I found during days of searching - there was a tower. I mailed the corp contacts and got no answer. I dscanned for days but saw no ships belonging to the corp with the tower, just people moving between the static and connecting holes. I concluded that no one lives here and moved in. Well, I was right, no one lived there. But I had a zombie. Something what doesn't work, talk or move. But something what lurks and attacks for no reason. My entry woke up the zombie. He still didn't do anything productive in the wormhole but started to replace NPC customs to his own, to lock me out. He didn't try to contact until he learned that I'm Gevlon and not some random new player. I believe there are thousands of such undead. Bittervet players who don't actively play anymore, don't use their holes, don't try to earn their way to serious wormhole corps, nor providing PvP to them as they are never in space. They do nothing. But they still block the way from new players who should be in these systems. Removing my zombie cost me 5B and it's not over. I expect him to blow up some haulers, POCOs and lead NOHO against my gas mining Ventures before he returns to the grave - for a time. But I could make it, because I was in the position of "let's throw a couple billions on it and see how it goes". I could shake off a dread loss like dog the water, since I could literally earn such money in highsec in a weekend. If everything went wrong and I even lost my tower without evacuating anything, I'd still lost less than I've given away for charity. Do you really expect genuine new players and few-man highsec corporations to do the same? Because that's the entry fee. You think I didn't try to find a hole without tower? For days I scanned with the same result: one tower, no corp killboard activity, no response to communication, no NPC kills, no planet colonies, full of runnable sites. Every entry which CCP meant for new players who want try out WH space is blocked by a zombie. Yes, I could buy a bookmark to an empty system. But what stops a zombie from moving a tower in, or just bitterly camp and gank, just because he lived here a year ago before he took a brake from the game? Without living players in the newbie systems, there is no one to apply to corps in higher class system and there is no one to fight with. Remember, No Holes Barred was so starved for ganks that they came down on our subcaps and even with the dread gank, their monthly kill value is below my solo ganking numbers. Are you surprised that veterans leave WH-space in boredom?! To revive wormhole space, to fill the high-end holes with battle-hardened veterans, you first need to get rookies into the low-end holes. Without them, the population can only go down, as old players leave the game. The future of WH space will be decided in humble C1s, C2s, and C3s. Tomorrow I outline my plan how to fill these holes with adventure-seeking newbies and earn a bit of ISK on the side. About a trillion a month. Take the time reading it while you are waiting and waiting for the opportune moment to drop on a few cruisers. Would you mind elaborating on the number of systems you checked before settling on your C1? Also, did you check for forcefields, or did you give up when you saw offline towers on scan? I can't tell exactly how many, but I scanned for days. It's somewhere between 20 and 30. No, the towers weren't offline. The worst part is that the moons are useless except POS anchoring (no moon mining) and you can't pod jump to a Clone Bay even if one is available. Getting back to Low Sec or Null is easy - you can even pod yourself to a station if you can get a med clone there. But worm holes have none of these options or incentives. You can't do anything passively apart from PI and when you do try to make ISK you have to dedicate hours at a time to it (by that I especially mean hours of attention because DSCAN doesn't click itself). Been there, would like to be back, but the Risk vs ISK benefit versus my time is not attractive enough. Zombies have no real will to do anything but spew pus all over the place, and at the same time seem to hold resources disproportional to their power. Snuffing them out is simultaneously good, honorable AND profitable. CCP states that WH are not intended for permanent habitation. The intended PVE is about clearing sites for 2-3 days and then moving on. So it looks like they are not happy with the current situation either, but, on the contrary, they believe that WH space is populated too densely. There were some vague dev remarks on fanfest on making living in a WH even more difficult than now, e.g. by increasing connection size variance. Although, when I reached CCP Seagull in May 2013, she confirmed firmly that no further changes to WH are expected in foreseeable future. @Petri, I agree, I think an anchorable clone bay that lets you drop a clone and jump out from there would be a good idea. Although that brings with it more possible power projection, but not anywhere even remotely close to the projection of titans. CCP didn't expect that anybody will live in wormholes. They said it at the last fanfest. The guy wasn't a zombie, he was simply low activity. Sounds like a lot of his corp members had dropped out. Somebody must have been active though, as a POS doesn't fuel itself. And that's where your issue is. If you scan down a hole and the tower has a forcefield, then the corp must be somewhat active. If you then move into the hole with an online tower, expect the owner to be pissed off. It's really not that hard to find one with only an offline tower. WHs aren't dead because of zombies, they are dead because they are a pain to navigate, there vast amounts of space with few people, and the level of risk in considerably higher as the loss of a POS can be the loss of all your resources. POS permissions make it very difficult to spread out roles among members without fully trusting them too. But like the others have said, they were not designed to be lived in. I don't think CCP expected people to be building capitals in C1s and farming the hell out of them. A zombie can be a good opportunity for a small corp. When I started again with my new corp, which was short of capital, we found a zombie. We were lucky enough to confirm that the zombie corp has been podded outside our hole (eve-who helped a lot). So, it was just a waiting game, for about 10 days. Then, we were rewarded for our patience with our loot piñata. Some small ships (up to BC size), which provided us with a complete collection of wormhole utilities, and more than 3B of loot from the corporate hangar array, which was used to seed our hangar array (and boost our corporate wallet). This zombie provided us with 3 months of cashflow, more than enough to get us started. If I'd wanted to take over a wormhole I might start by reinforcing poco's to check response and activity. With multiple accounts just use some afk laser or drone ships. Coercers and vexors are just as good as oracles and dominixes if you have bigger numbers and expendable enough that you only lose a couple of million if killed. Actually there is a valid question here from Lucas Kell. 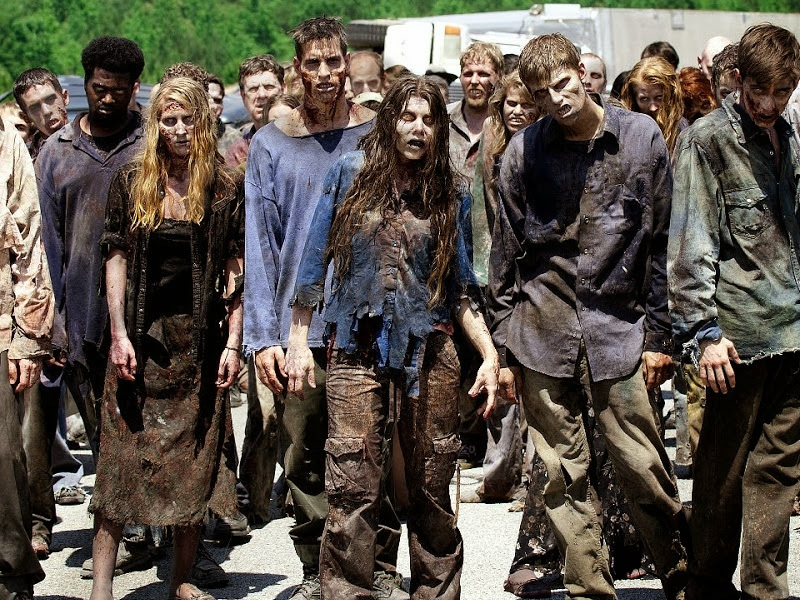 How do you differentiate low-activity people from zombies? @Maxim: "low activity people" ARE the zombies. Or you thought I mean real undead sitting at the computer? If you log in once a week, you shouldn't be occupying a valuable resource. Use it or lose it! Understood. I just felt it was important to either make that distinction or stress that there is, in fact, no difference. How do you know they didn't log in in a week? They didn't respond to you, but that doesn't mean they didn't log in. At the end of the day though, they were clearly active enough to be fueling a POS. They are definitely not the reason WH space is dead. And what you encountered is not the "normal" thing for WH space. I've owned several C1 and C2 wormholes, and always managed to find plenty that are actually empty. I cannot know if they logged in or not. I know however that they did not run any sites, did not kill rats, did not PvP, did not do PI and wasn't in space when I was.